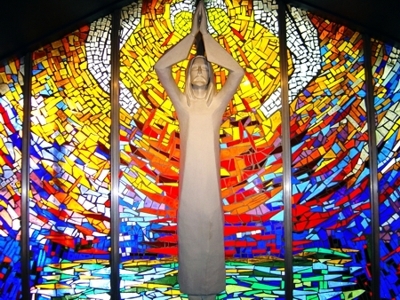 The very heart of the Light-Life Center. Members of the Movement want to imitate the attitude of Christ who came to serve (see Phil 2:5-11). The chapel has been designed in a way that reminds everyone of this important truth. The Word of God is our light. The symbolism of this building refers to this truth. Our God is a living God who speaks to us and directs us towards the right way. The Immaculate is the one who shows us how to follow Christ. She is the Mother of the Church. 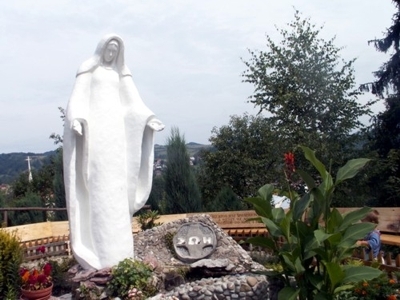 She is also the Mother of the new life, hence her statue stands near a spring as evidenced by the symbolism of water, the source of life (see John 4:5-26). 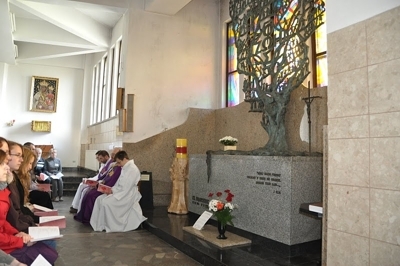 Here Cardinal Karol Wojtyła, Archbishop of Cracow (later John Paul II), devoted the Light-Life Movement to the Immaculate, Mother of the Church in 1973. An Amphitheatre built in 1979, just before the first pilgrimage of John Paul II to Poland. 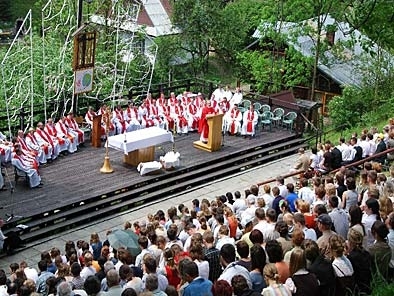 The Pope did not come to Krościenko but since then the Amphitheatre has served as a place of meeting and an open-air chapel for the oasis groups which visit the Light-Life Centre. 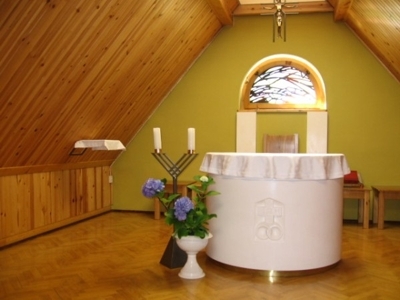 The name in Polish refers to the Upper Room where Jesus held His Last Supper with His disciples. 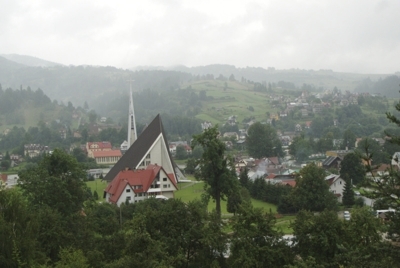 The new, two-level parish church in Krościenko. 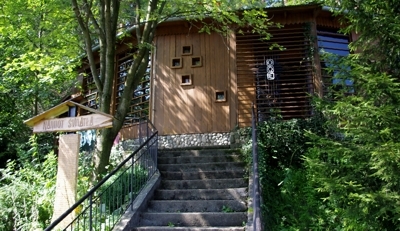 Since 2001 the chapel downstairs is the burial place of Servant of God, Fr. Franciszek Blachnicki, the founder of the Light-Life Movement. 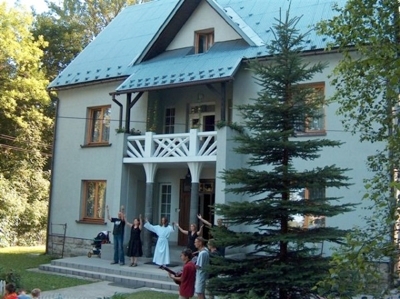 The central house of the Domestic Church at Jagiellońska 100 with an interesting chapel.